Oh what a celebration we'll have today! Broadway's soaring hit Wicked is officially the ninth longest-running show on the Great White Green Way. This marks 5,462 performances at the Gershwin Theatre on December 4. Beauty and the Beast was the previous holder of the ninth spot. To properly rejoicify about this gravity-defying occasion, we've included nine of our favorite show clips featuring the Broadway sensation's original cast. Let the binge-watching (and inevitable singing along) begin! 1. 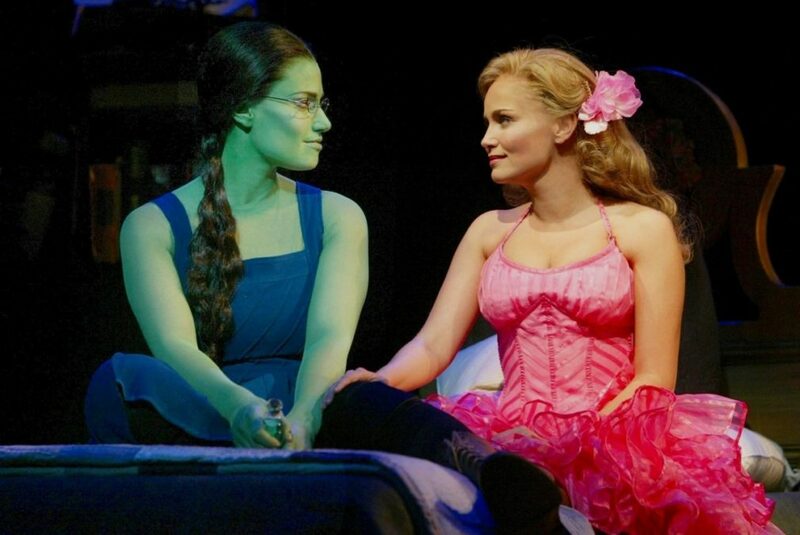 Idina Menzel & Kristin Chenoweth Sing "For Good"
2. Kristin Chenoweth Sings "Popular"
3. Norbert Leo Butz & Idina Menzel Sing "As Long As You're Mine"
4. Kristin Chenoweth Sings "Thank Goodness"
5. Wicked Cast Sings "One Short Day"
6. Joel Grey Sings "Wonderful"
7. Norbert Leo Butz Sings "Dancing Through Life"
8. Idina Menzel Sings "The Wizard and I"
9. Idina Menzel Sings "Defying Gravity"